Description Help the Dibbles get their King to his destination in their brand new Christmas adventure. The wintery follow up to Dibbles: For the Greater Good. This time the Dibbles are trekking across the North Pole. 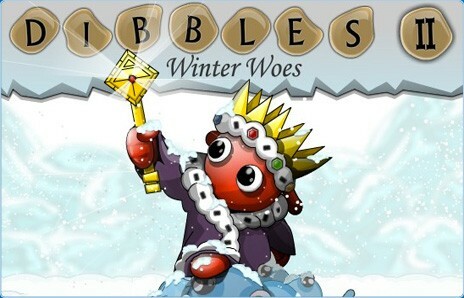 - 44 brand new levels - New Dibble deaths, including 4 all new skills - New ice which cracks as Dibbles cross it - New calming snow effects - New level skip if you fail a level too many times - All new music, but fans of the original in-game music can switch to that by toggling the music off and then back on again. Controls Use the mouse to select commands, place the command stones in the path of the Dibbles. The first Dibble to reach the stone will carry out the commands, even if it means certain death!